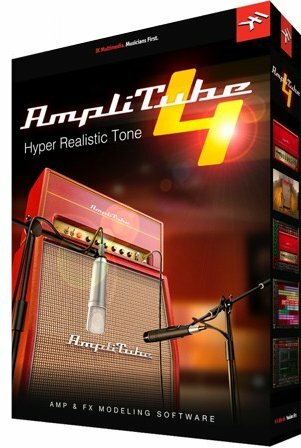 AmpliTube 4 - download in one click. Virus free. 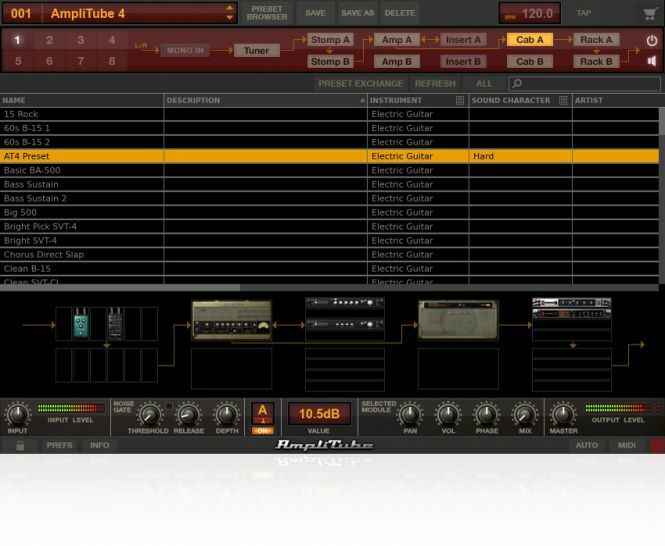 Download the latest version of AmpliTube 4 with just one click, without registration. It is a standalone setup package that contains the full offline installer for AmpliTube 4. AmpliTube 4 is a guitar and bass tone studio for professional musicians and music amateurs. 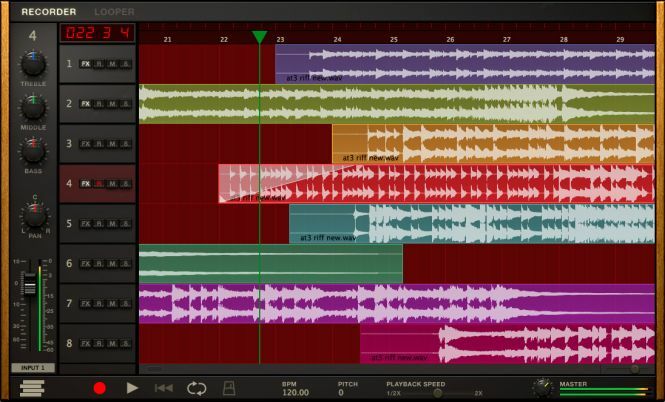 It works both as a standalone application and as a plug-in for digital audio workstations. The program recreates the whole way from your instrument to recording device so that you can adjust your tone most realistically on every step. The new version of AmpliTube has five customization sections, where users can choose a speaker cabinet for their amplifier, an individual speaker, mics and their placements, and other settings for recording environment (for example, 'dead' room, 'garage', 'venue', as well as additional room types). Combine the settings from all five sections, which all have new additions and adjustments, to get exactly what you want from your sound. Then, AmpliTube 4 has a new acoustic simulator. It is a model pedal that turns your electric guitar into an acoustic one. Choose from three acoustic body styles and three types of material for the top, so your guitar sounds different every time. Finally, AmpliTube has such additions as UltraTuner with the incredible accuracy, a new 4-track looper for easy mixing and adjusting the tracks, and a built-in 8-track DAW that works as a standalone app. All in all, AmpliTube 4 has a lot to offer for everyone. If you've ever worked with the previous versions, the user interface will stay familiar; the beginners may find it a bit confusing at first. The trial version requires a serial number, which must be obtained on the official IK Multimedia webpage. The serial numbers depend on the user's location, so one has to check them manually in My Products section of the official site to run the program.